US President Donald Trump and his Chinese counterpart Xi Jinping, the leaders of the two most powerful nations in the world, went to lengths to build up a friendly atmosphere of bilateral ties during the first state visit by Mr Trump to China. 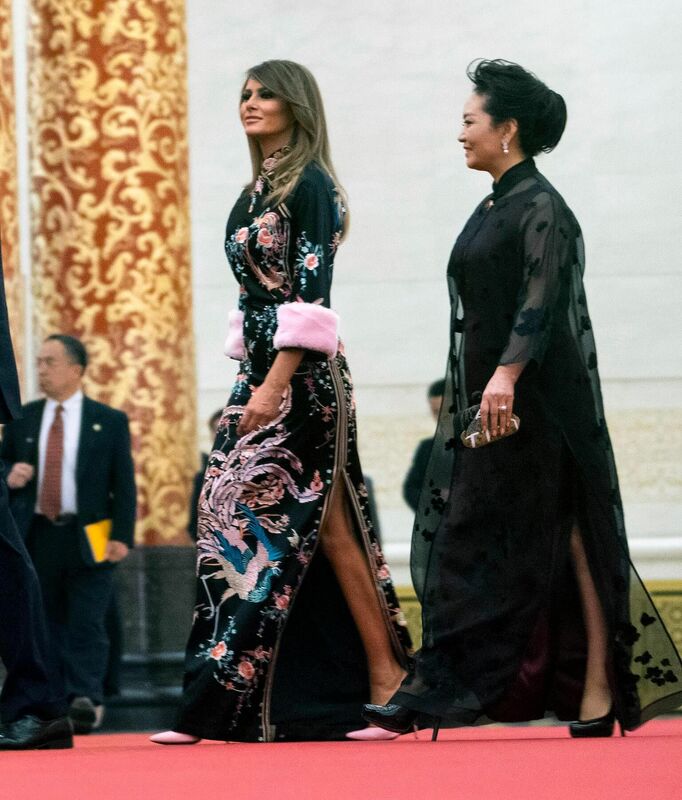 Mr Xi pulled out all the stops to fete the US leader, including a personal tour of the imperial palace of Chinese emperors, while Mr Trump was all praise for the Chinese leader, calling him a "very special man". They largely succeeded in creating warm ties, helped by the massive US$250 billion (S$340 billion) in commercial deals - though many of them are non-binding - signed by the two sides yesterday and on Wednesday. Mr Trump appeared to have softened the stance he took ahead of his three-day state visit. Earlier, he had raised the rhetoric over the US' trade deficit with China and the North Korea nuclear issue, two major sticking points in US-China ties. On trade, he had criticised China last week for the deficit, which hit US$347 billion last year, calling it "embarrassing" and "horrible". Yesterday, however, he said he did not blame China but past US administrations "for allowing this out-of-control trade deficit to take place and grow". 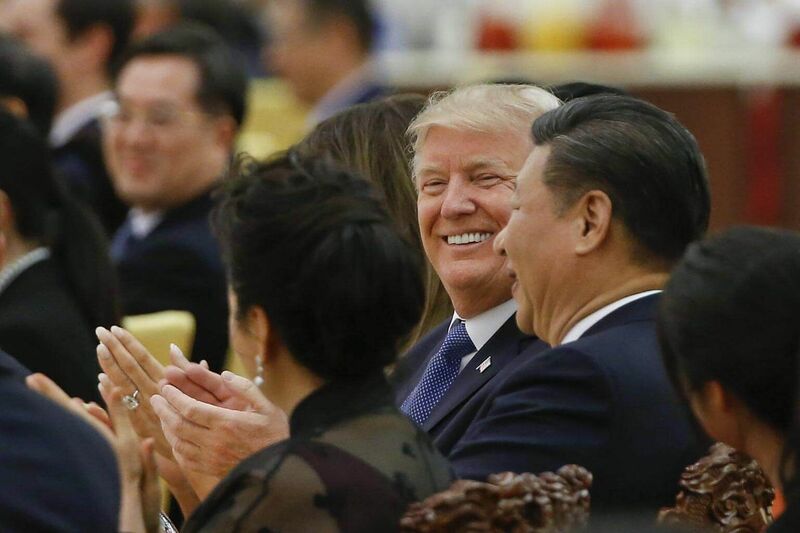 Noting that he and Mr Xi had discussed concrete steps the two sides would take to solve the distortion, Mr Trump said the "job-producing" deals signed showed "we're off to a very, very good start". On North Korea, Mr Trump had earlier called on China and other countries to fully implement United Nations Security Council resolutions, downgrade diplomatic ties with North Korea and sever all ties of trade and technology. Yesterday, while asking Mr Xi to work "very hard" on reining in Pyongyang's nuclear and missile programmes, he also said he and Mr Xi believed there was a solution to the nuclear issue. Though less effusive, Mr Xi noted that the China-US relationship "now stands at a new starting point". "China is ready to work with the United States to enhance cooperation and properly manage differences in a spirit of mutual respect and mutual benefit," he said. He had laid out a lavish welcome for Mr Trump and First Lady Melania Trump. Apart from the visit to the Forbidden City on Wednesday, there was a welcome ceremony at the Great Hall of the People with a guard of honour, a military band and schoolchildren waving American and Chinese flags. The day ended on a high note with a state banquet at which videos of the leaders' Mar-a-Largo and Beijing meetings were played and warm toasts made. A clip of Mr Trump's granddaughter, Arabella Kushner, six, singing and reciting Chinese poems was also shown. The hard work of working through differences will take place in the days ahead, beginning with the inquiry the US has started into China's alleged theft of American intellectual property. A US official also said trade is still taking place on the Chinese border with North Korea and some financial links exist which the Americans want to see ended. The Chinese are also wary of the concept of the Indo-Pacific, mentioned frequently by the US in recent months and yesterday by Mr Trump when he said the US was "committed to a free and open Indo-Pacific based on respect for the rule of law, private enterprise and trade reciprocity". It suggests that the US is coordinating with its allies to contain China, said Professor Su Hao of the China Foreign Affairs University. Indo-Pacific, as opposed to Asia Pacific, encompasses India. Still, Mr Trump's visit is considered a success for the Chinese, putting bilateral ties on an even footing. "We can expect that the China-US relations will grow steadily," said Prof Su.